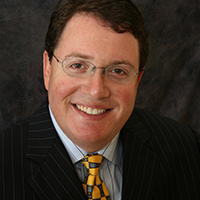 Randy Fine is the founder and managing director of marketing and operations-focused consulting firm The Fine Point Group, which he created in 2005 and which has served more than 70 clients across four continents. Fine has served as the CEO of $100m+ casino companies in Michigan and New Mexico, chief marketing officer for Carl Icahn’s first Las Vegas-based casino company, and as corporate vice president of slot operations and loyalty programs for Caesars Entertainment, where he holds one of the key patents behind Total Rewards. Fine received his undergraduate degree from Harvard College in 1996, and his masters in business administration degree, with high distinction, from Harvard Business School in 1998.